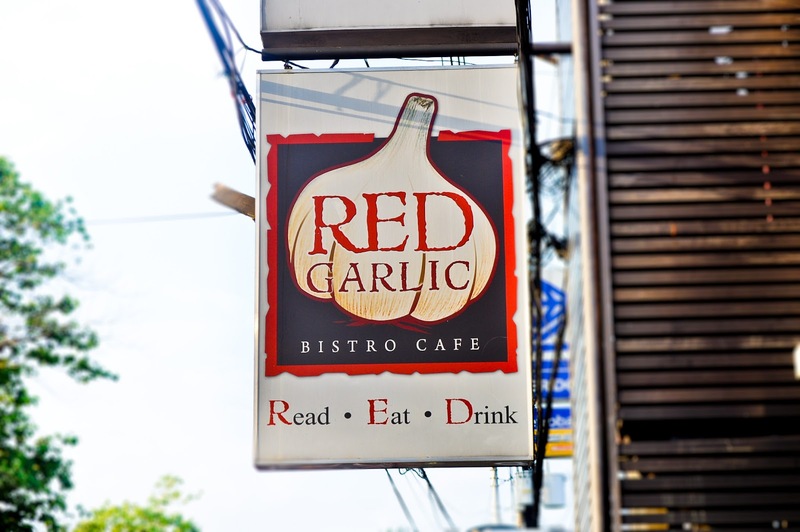 Red Garlic is a bistro cafe in Katipunan that we've always wanted to visit. 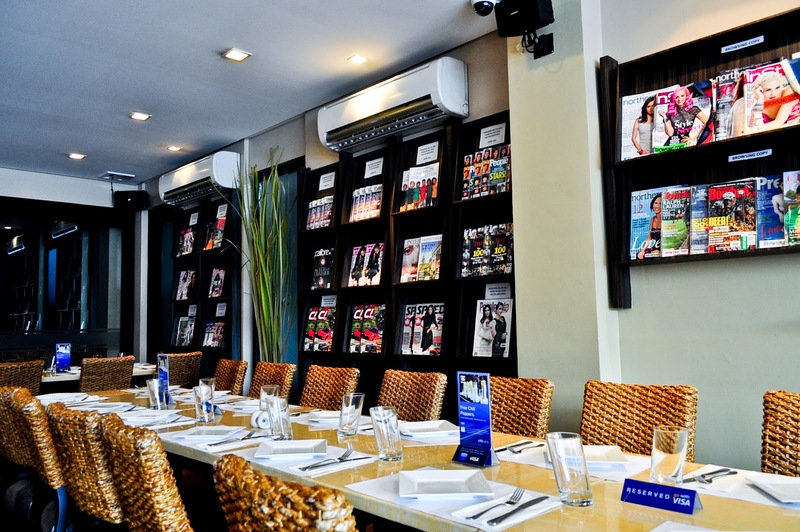 RED actually stands for Read, Eat, Drink where diners could browse through magazines and read them while eating and drinking. They have a wide variety of magazines that suits every type of person from sports magazine for sports enthusiasts, home and living magazines for moms, business magazines for entrepreneurs, gadget and technology for men and fashion magazines for the ladies. 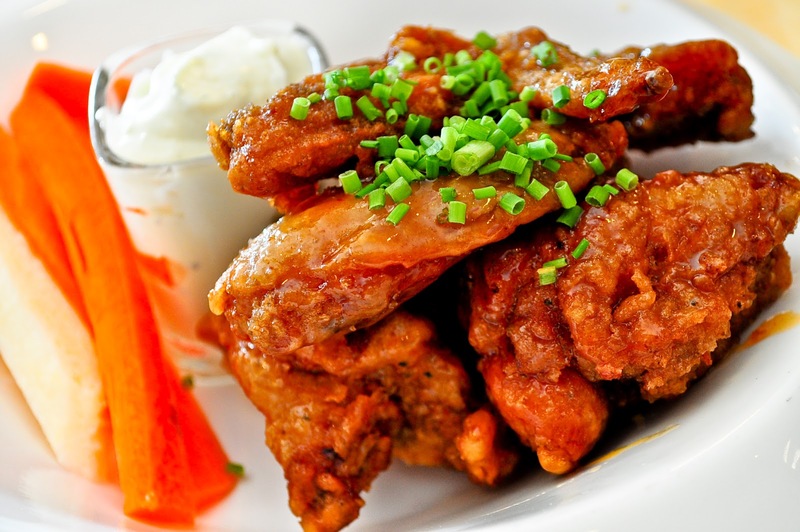 Angel Wings is Red Garlic's take on the classic New York-style buffalo crispy chicken wings coated with your choice of hot or mild bufflo wing sauce. I've tried a lot of buffalo wings before, but I must say that this is by far one of the best wings I had. Each wing is perfectly crisp and crunchy glazed with a sweet and mildly-spiced sauce. A full order comes in 12 pieces, but since there's only 2 of us dining, we settled for the half order. If I had known earlier that it was going to be so good, I definitely would have gotten a full order of this. A must-try!! Red Garlic's very own version of Thailand's Khao Kluk Kapi is this Thai Bagoong Rice w/ Stewed Pork. It is basically rice with shrimp paste or bagoong topped with tender and sweet pork slices, green mango strips, crushed peanuts, onions and egg. 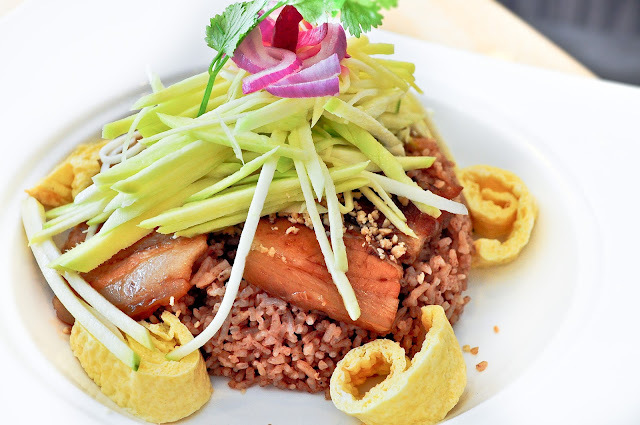 I love Thai cuisine and bagoong rice is always a classic order along with Pad Thai. 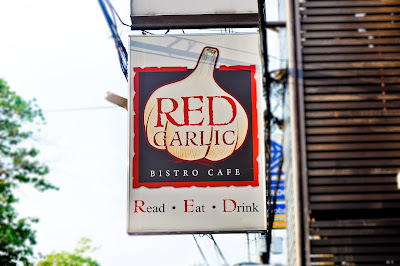 Red Garlic's version, though simple, is actually good without overpowering the other ingredients on the plate. We were torn between Red Garlic Signature Roll and Mt. Fuji for our sushi, but somehow, the description of Mt. Fuji having 20 mins. cooking time lured me in. Aside from that, who would resist the freshly baked sushi roll, filled with tempura, US Baked Scallops, Japanese cucumber, with Mt. 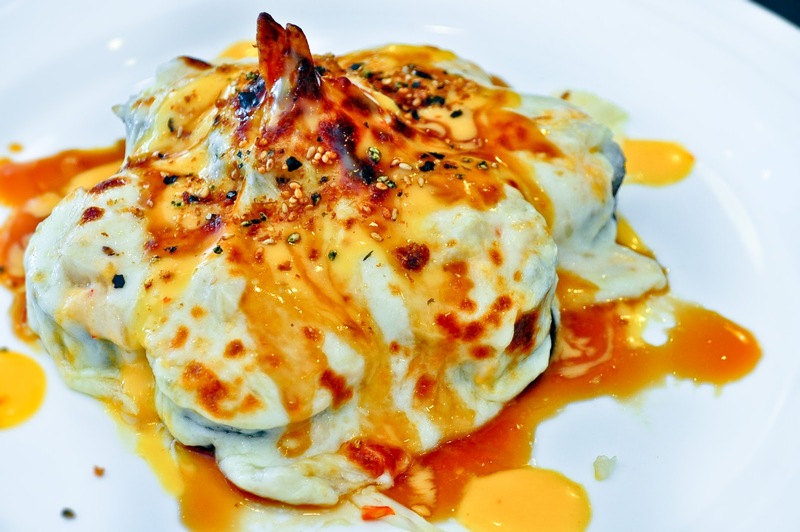 Fuji spicy cream sauce topped with melted mozzarella cheese. An order consists of 8 pieces bigger-than-the-average-size sushi and it was quite hard to pop one piece into the mouth like we always do. The plate was like an eruption of flavors that may seem overwhelming to the taste buds due to all those cheese and sauces. But I assure you, it taste really really good and worth its quite hefty price. For dessert, we had the Banana Cream Pie which is basically bananas and cream over dessert crust topped with a light and airy whipped cream. 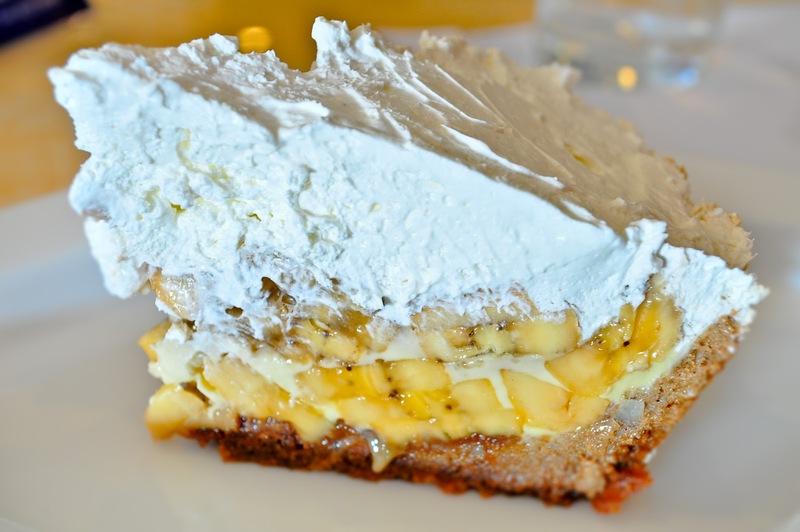 Although I still profess my love for their neighbor's banoffee pie, this one tasted lighter and less sweet. I'm looking forward to our next Red Garlic adventure and try other best-sellers soon. Heard they have really good barbecue ribs and steaks. 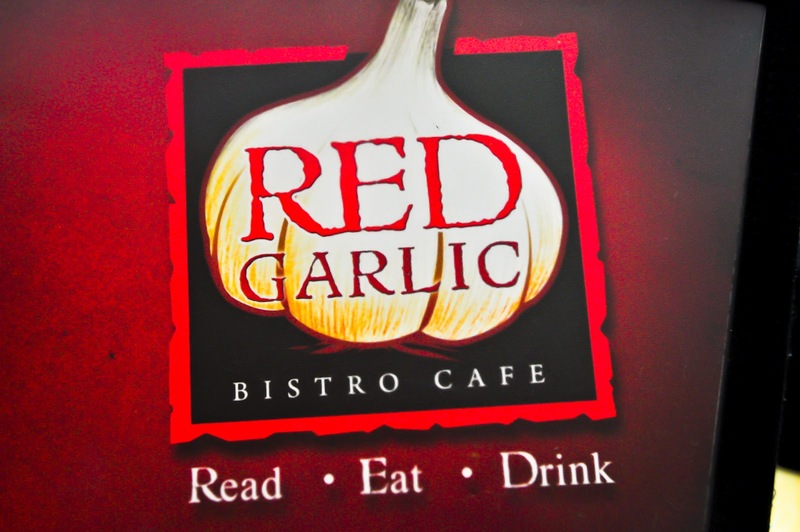 Although Red Garlic's menu prices are on the higher side, quality, taste and service are certainly guaranteed. 218 Blueridge A Katipunan Ave.
heard so much about this and got to try this a few weeks ago! To me their one of the perfect spots if you'd wanna have variety. They have generous servings! Love the sushi, pizza, pastas etc. 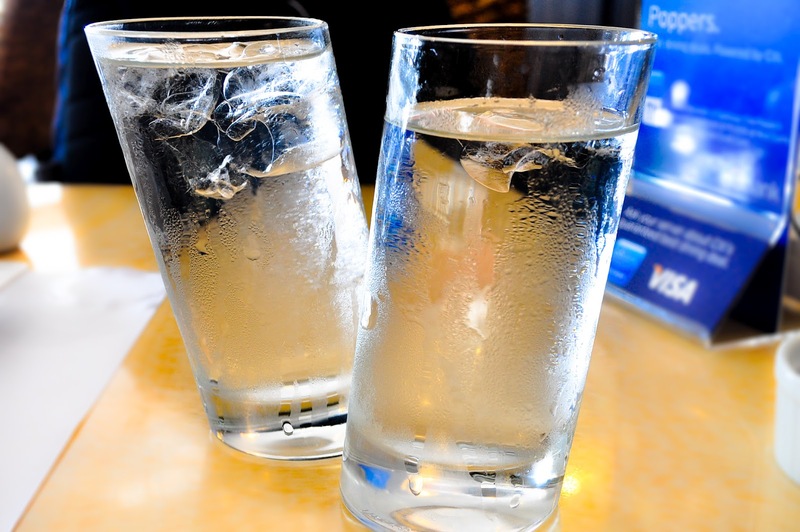 Although they can improve on the service and prolly lessen the sweetness in some of their food. Plus a better selection of dessert and they'll be good! Will go try it again soon. Mt. Fuji Sushi looks to-die-for!!! i live in america. i am just check stuff out in other countries for fun. see what they have. been there with friends last time,yummy foods!